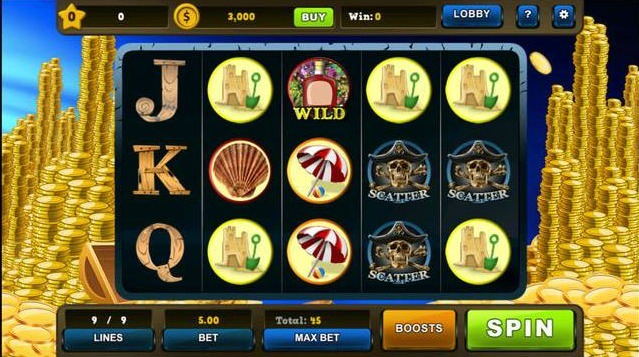 Do you love playing with slot machines? Are you on a mission right now to find the best slots game app currently out there? Well look no further, because we’re here to recommend one of the best casino gaming apps for you. We’re talking about Paradise Beach Slots, a game available on the iOS platform, designed with beautiful graphics and extremely high performance. The Paradise Beach Slots game has amazing graphics, cool bonuses and exciting gameplay. Did we also mention that the game is free to play? Well it is, and it’s certainly your best choice for a game like this. Spin the wheel and collect as many coins as you can and try to be the best player among many. You will receive free coins every 10 minutes and daily free coins that will keep you on track. You can also play the featured mini games that can help you win even more coins! Play and climb up the levels and have the chance to make higher max bet. Also, you can use some of the boosters or upgrade the game with an in-app purchase and move up the levels faster. Compete with other players from all around the globe and check your scores in the online leaderboard. Play, test your luck immediately, and enjoy the integrated nice reggae music in the background. Download Paradise Beach Slots for free from the App Store today!